I hope everyone had a great summer vacation and are ready to tackle the 2019 school year. It was great to see so many happy students and parents on day one. It wasn’t until I became a parent that I realised why parents looked so happy when dropping their children off on the first day of school after the summer vacation. I thought the parents were just happy to see me! As of day four of the 2019 school year, we had 88 enrolments. We are predicting these numbers will remain the same for day eight and our staffing will be consistent with how we have started the year. We welcome our new families to our fantastic school. Due to the numbers of the Prep/1 class, I have decided to separate the year ones from the preps on four mornings a week. 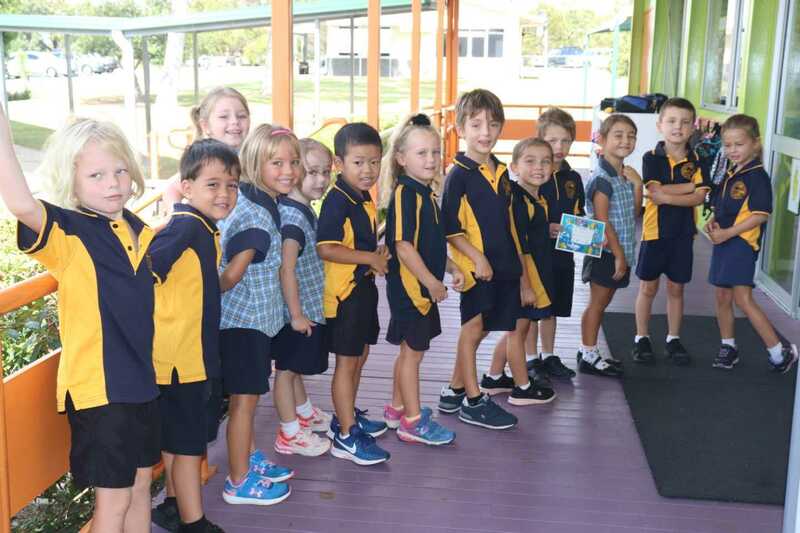 Ms Margetts will teach the year ones, concentrating on English and Mathematics within the Australian Curriculum. Mrs Chamberlain will deliver the Prep curriculum on these mornings, before the preps and years ones join back together after lunch. This decision will allow our students the best opportunity to reach their learning outcomes. We will reassess this program at the end of semester one. At the end of 2018, students were invited to apply for our 2019 RBSS school leadership roles. The students were put through a rigorous application process, which culminated in them speaking in front of the school about their leadership qualities. This can be a daunting process and I would like to thank all our applicants. Anybody who witnessed the speeches on that day left the room in awe of the effort and application of all of these students. Max and Meckenzie will be our school captains and Ava and Rubi will be our vice captains for 2019. Over the next two weeks, the year six students will be invited to apply for our sports house captains. After this process is completed, we will order badges and have a special parade to present all our leaders with their badges later in the term. Classes are well and truly into their daily routines and engaged in the curriculum. Please make sure you purchase the year level textbooks from the office to allow for class routines to run smoothly and enable your child to be engaged in relative work. Parades will be on a Friday morning at 8.30am. We will celebrate what has been happening in the school, remind students and parents what is coming up, and reward our students with certificates to celebrate their hard work through the week. This year each class will present a parade item on the last parade of the term. It will be an extravaganza of either poetry, song, dance, jokes or skits. This will be an opportunity for the students to engage with their peers and teacher in a different manner, allowing the school community to be part of our great school. It will be great to see some of the locals come in and help out with Tuckshop – it’s on Fridays and we’re looking at someone to come in from 9 – 11am or 11am – 1 pm. It is a great atmosphere and it’s even greater doing something for our next generation. Also, if any the local businesses would like to help with prepping lunch meals at an affordable price or even a donation, we use Tuckshop to help put money towards the P&C. Looking forward to seeing you at the school. 64 volunteers,173 garbage bags and 3 trailers!